As you’re aware, we live in a time where rational voices are increasingly questioning the shortcomings of capitalism. A group of us are starting a new online-community called FIXCapitalism.com and I wanted to personally invite you to participate. 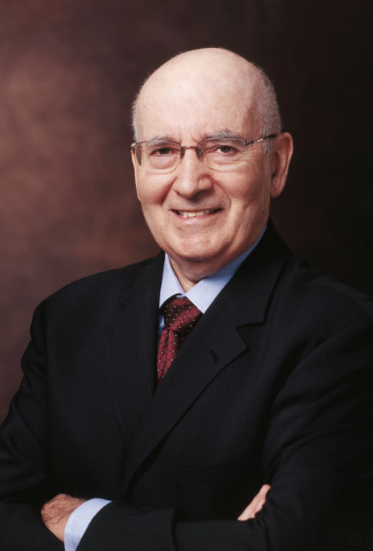 My name is Phil Kotler, and I’m a professor at the Kellogg School of Management at Northwestern University. The community brings together business thought-leaders and professionals, along with their socially active counterparts, to actively discuss the issues and propose needed solutions that are both sensible and meaningful. I’ve prepared a list of 14 points that highlight the areas where capitalism is falling short. We think that concerned citizens would like an opportunity to discuss these shortcomings more thoroughly. We’d like to get your opinion and views on these and other topics as we go along. We’re building a space for open-discussion: respectful of all serious opinions. In a sense, we must save capitalism from itself. P.S. If you have friends you’d like to invite to participate, please feel free to ask them to join us as well.